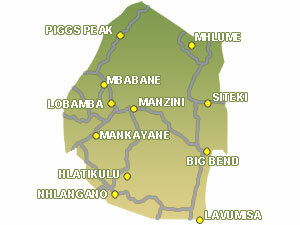 Swaziland is a recently discoverd gem of a Bass fishing destination. With a fairly undeveloped infrastructure and lack of significant polution it's a great place to find big Bass. The country is not endowed with many lakes but those that it does have have gained a reputation for being home to some very large Bass. Maguga Dam on the Komati River is a failry new impoundment that has been making headlnes in the Bass fishing community on account of the large fish that it has produced. Select a lake below for a list of Bass fishing venues. Maguga Dam on the Komati River offers fishing for BIG Largemouth Bass. More info . . .